This 184-unit housing development was built on approximately two acres of vacant land. A goal for the project was to provide the City with significant open space. To achieve this, a 277-space, below grade parking garage was created with a park on its surface. Thus, the park at grade level is in reality a rooftop garden. 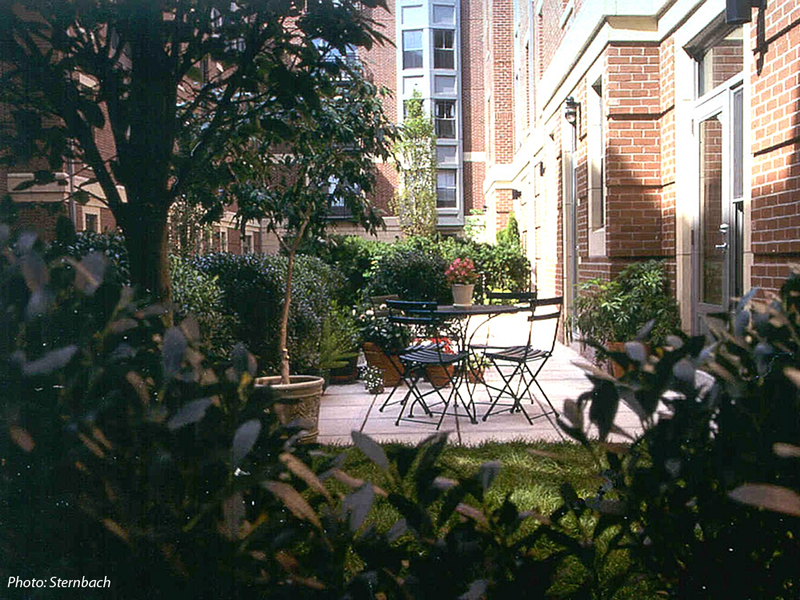 This green space is a contemporary interpretation of the traditional South End Square.